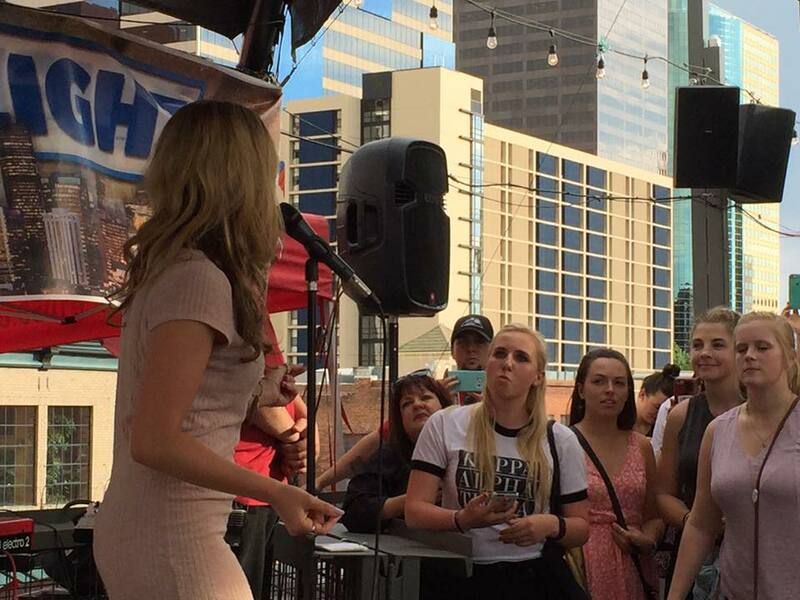 LIVE@FIVE is Denver Longest running happy hour. 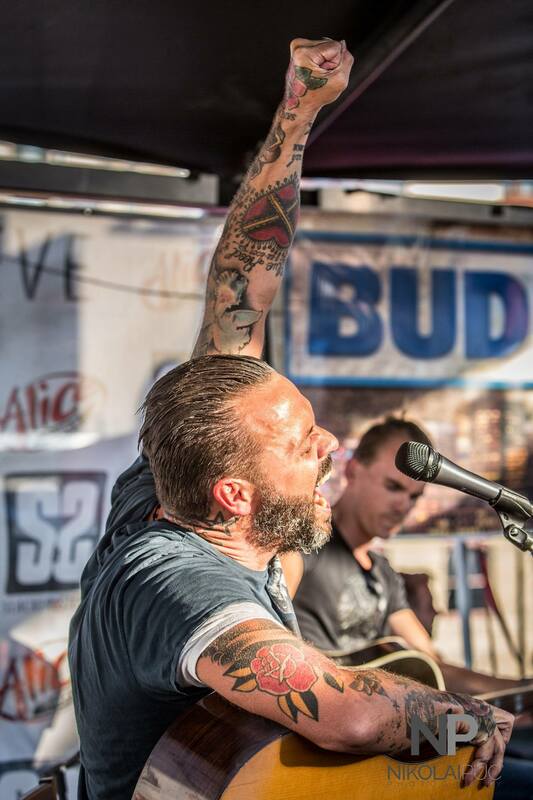 20 years to be exact! 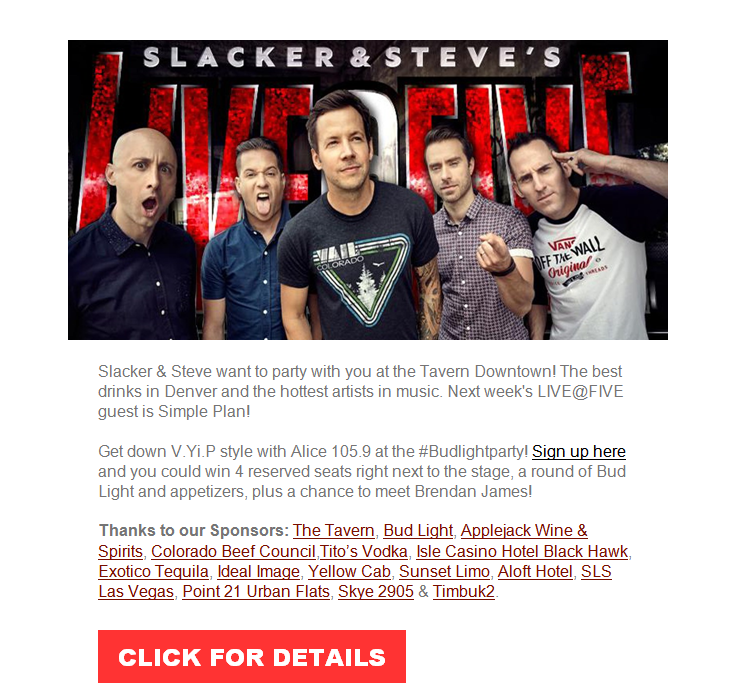 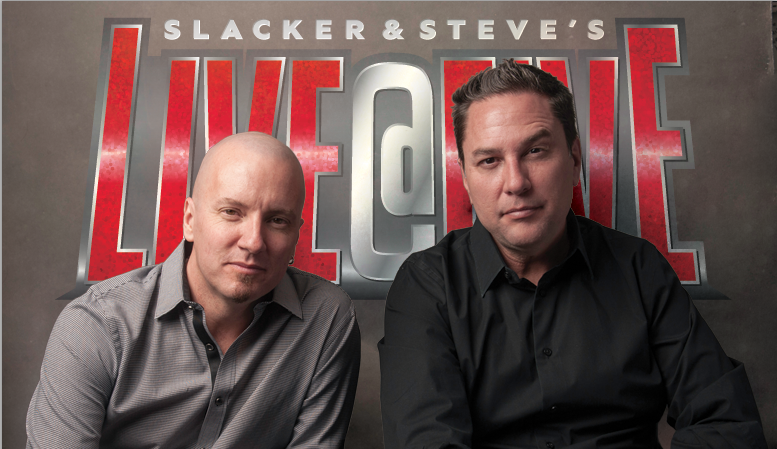 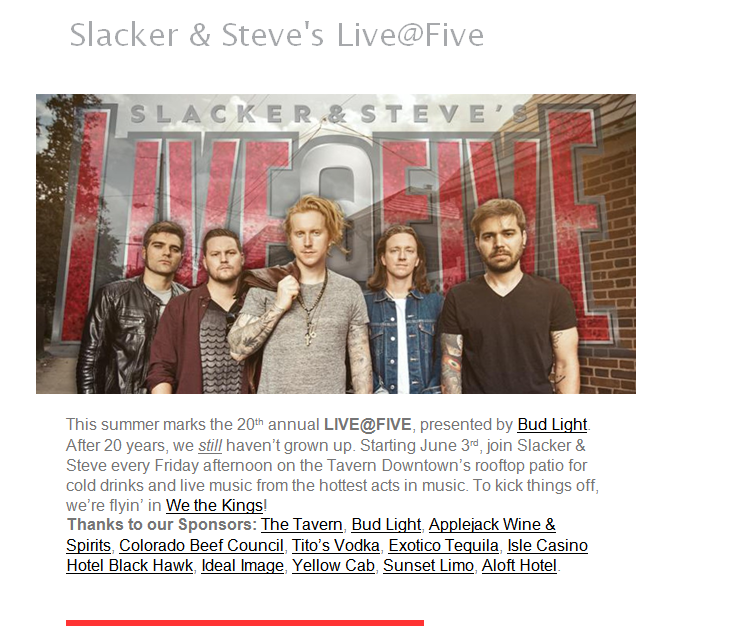 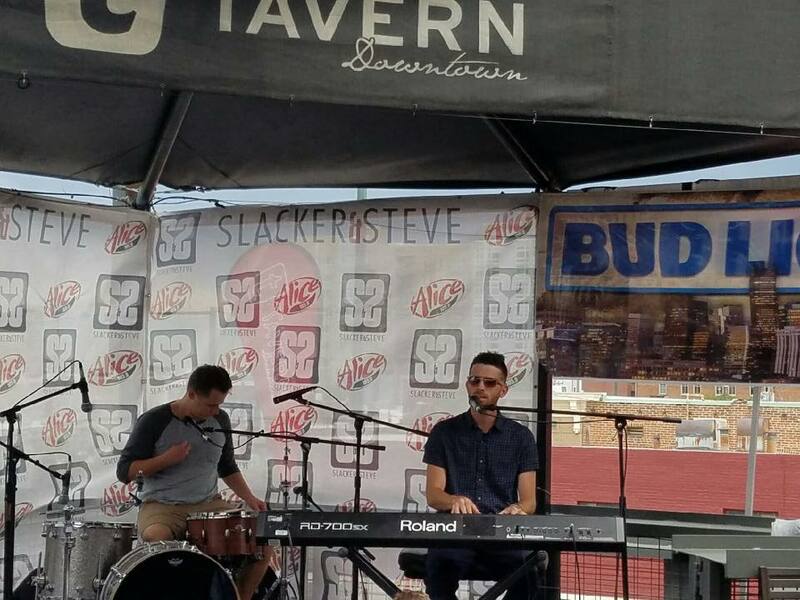 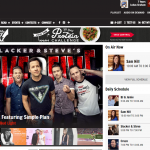 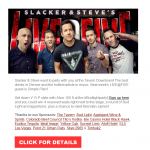 For 20 years Slacker & Steve have played host to loyal fans at the Tavern with games, contests, music and more. 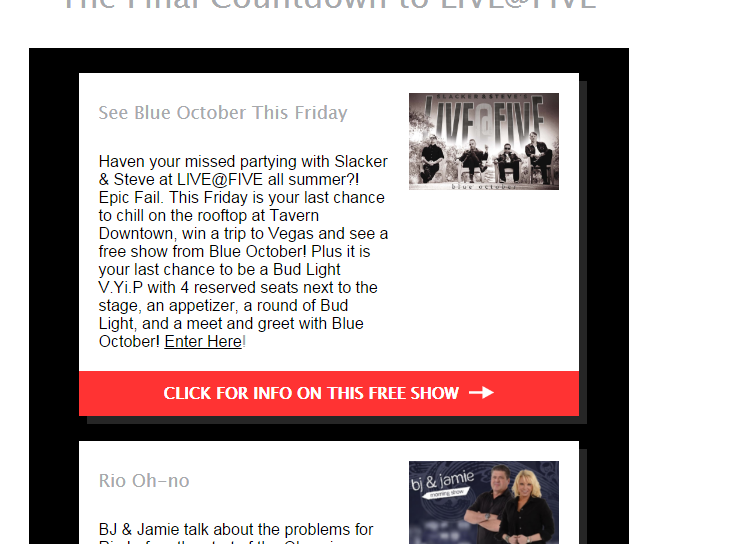 LIVE@FIVE is where people still come to officially start their weekend. 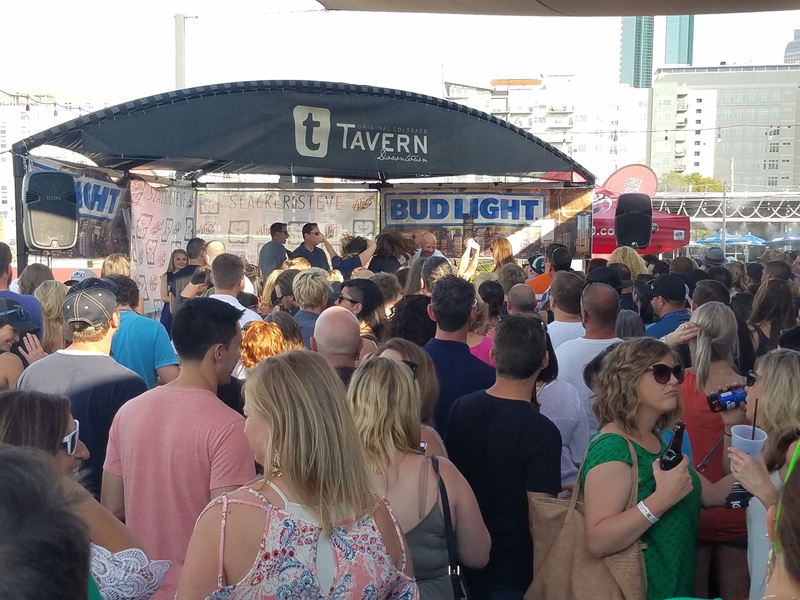 It’s the perfect Friday after-work happy hour event with all the necessities – great drinks, food and plenty of entertainment from everyone’s favorite afternoon show! 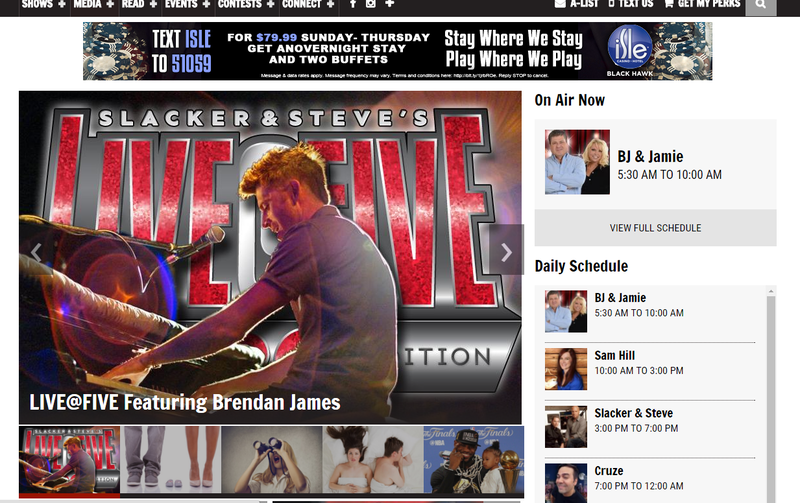 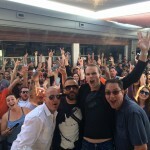 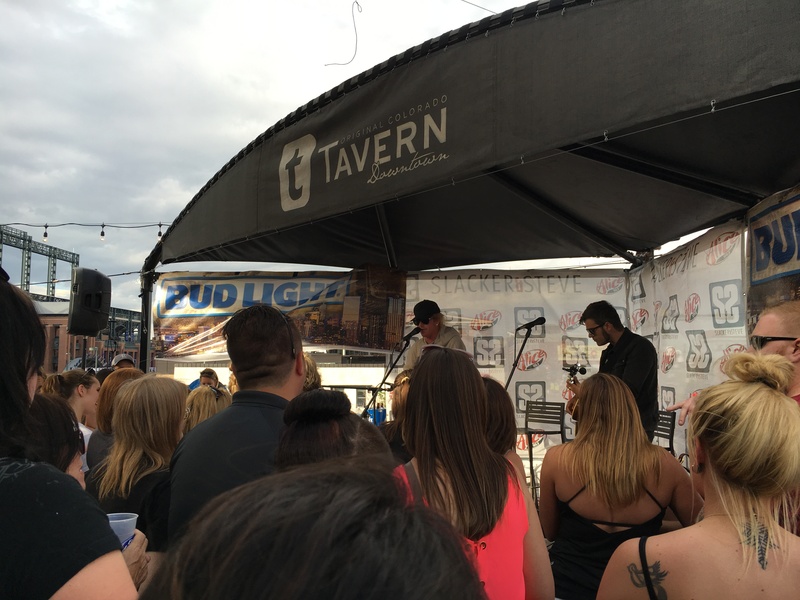 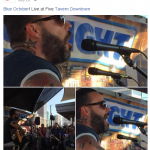 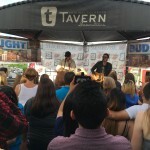 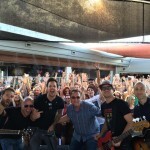 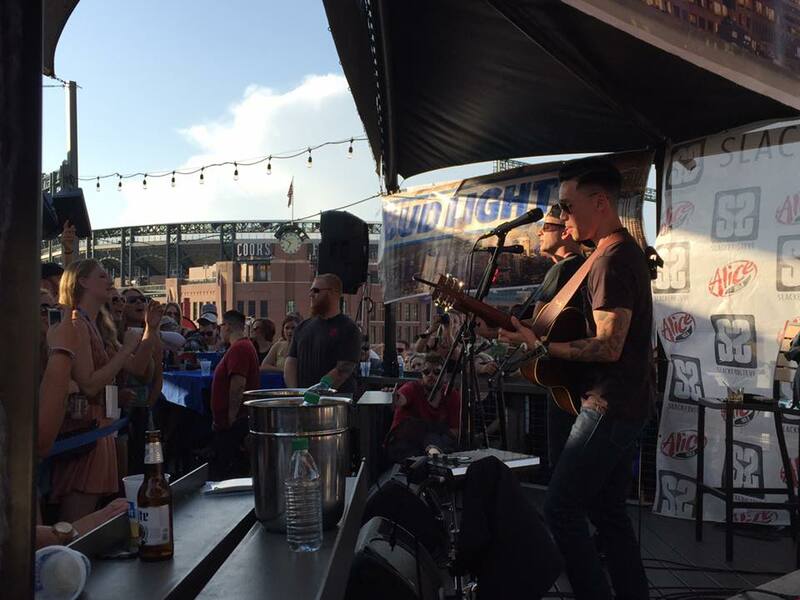 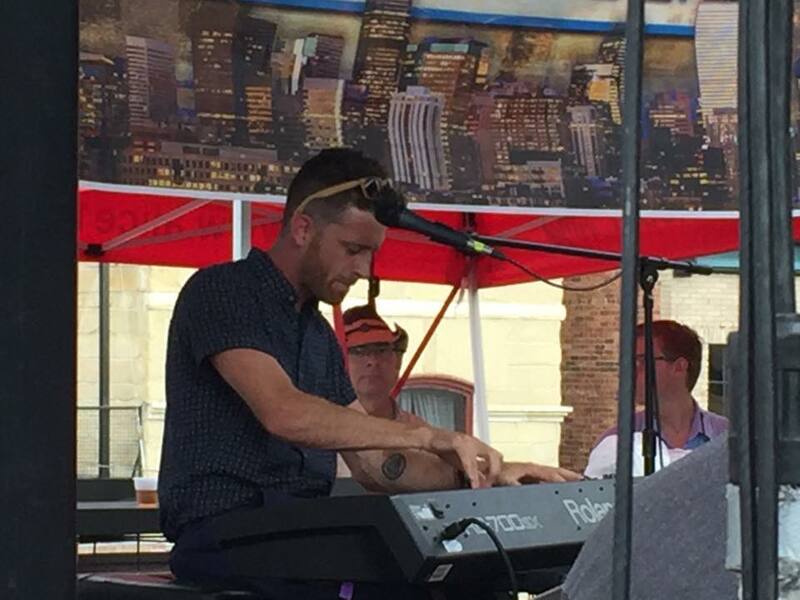 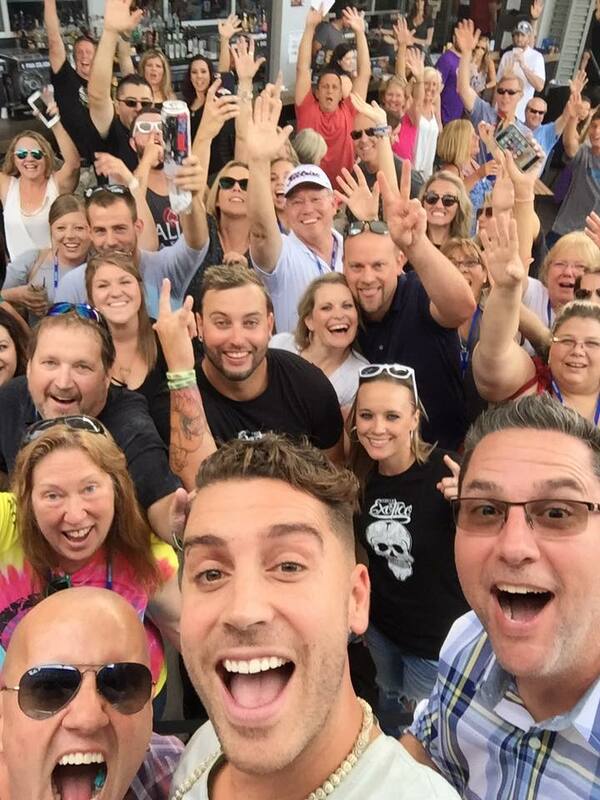 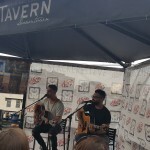 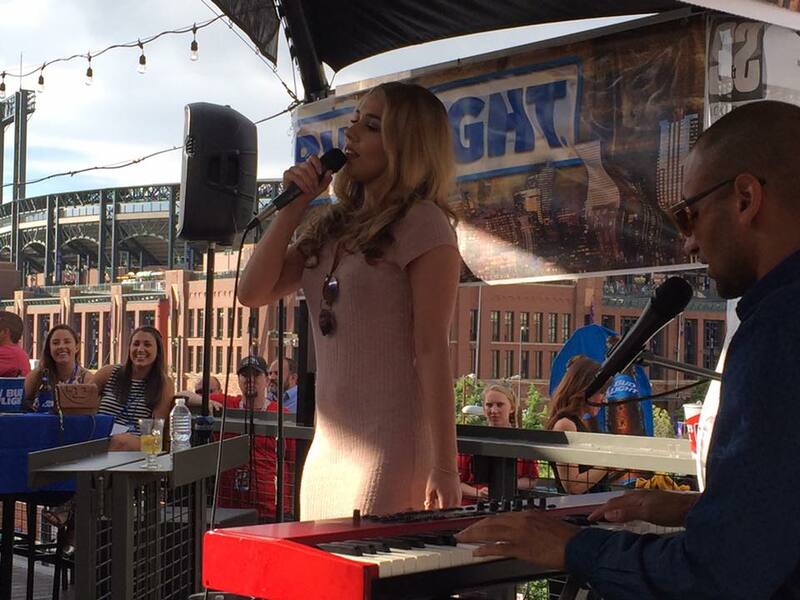 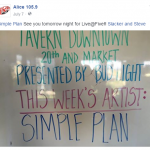 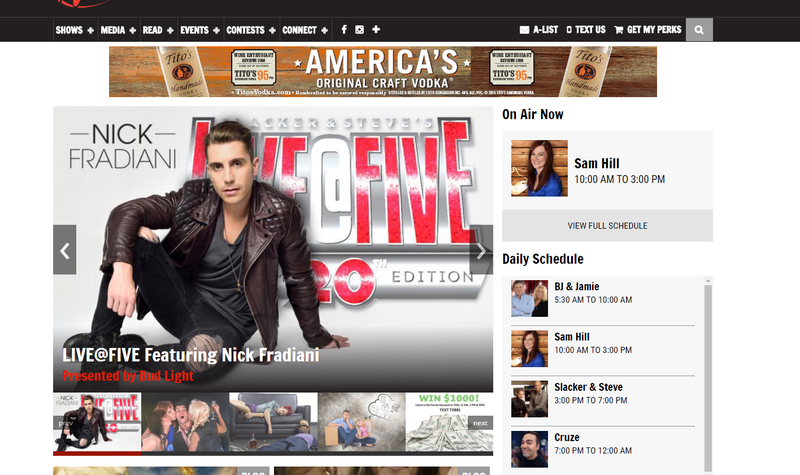 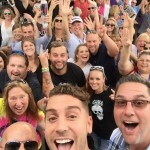 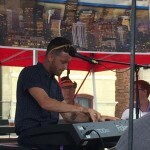 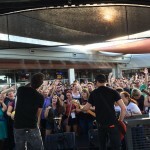 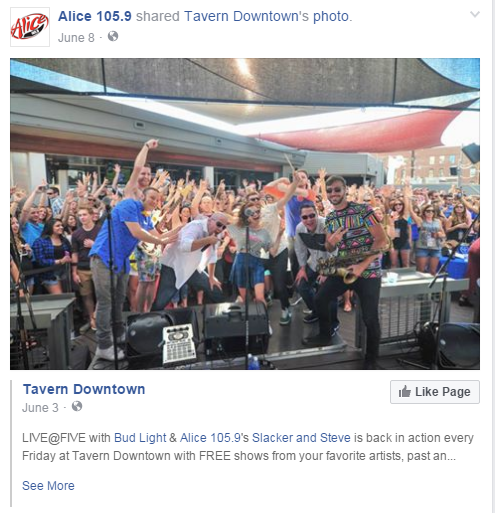 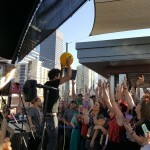 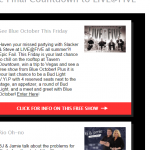 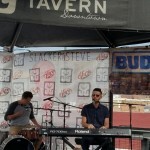 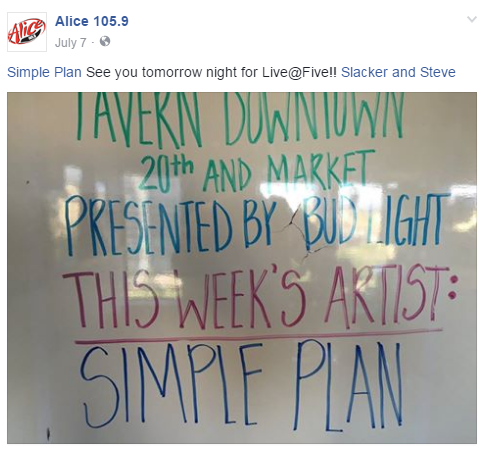 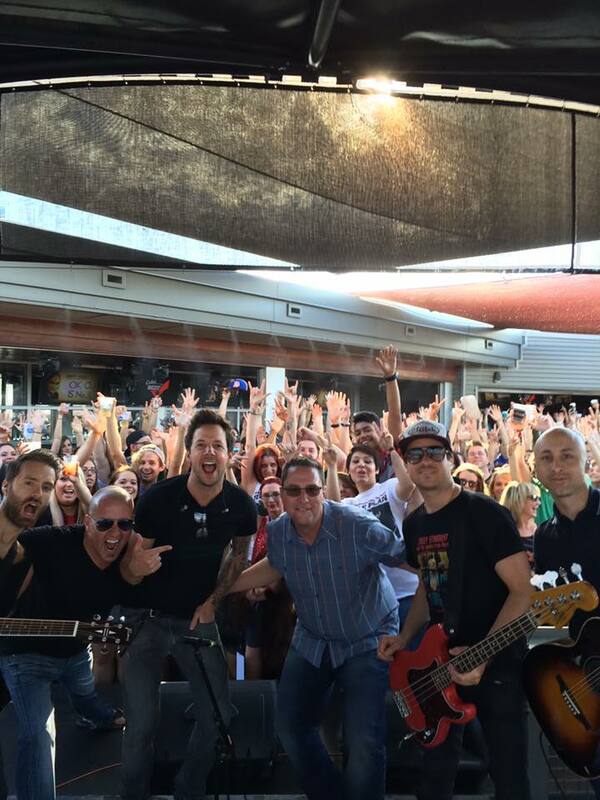 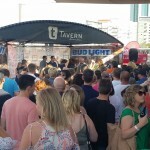 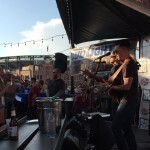 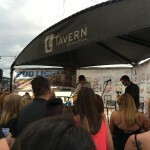 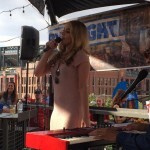 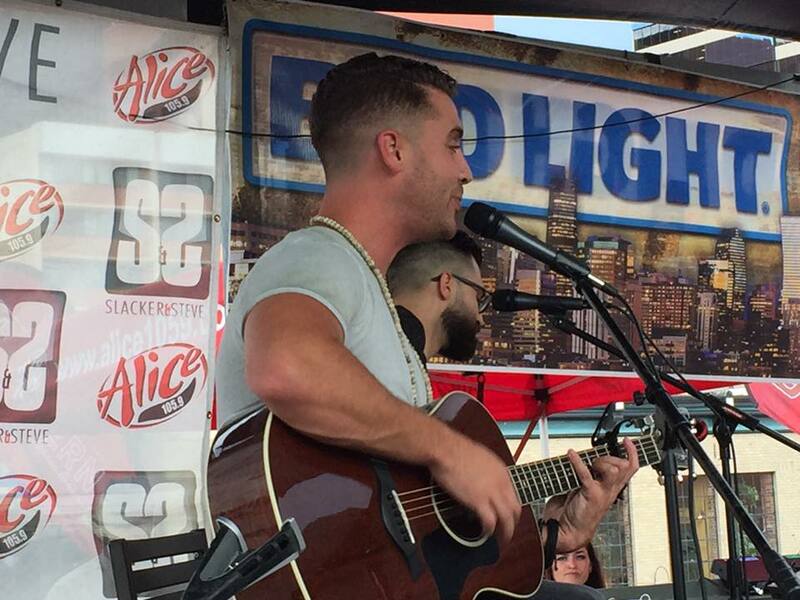 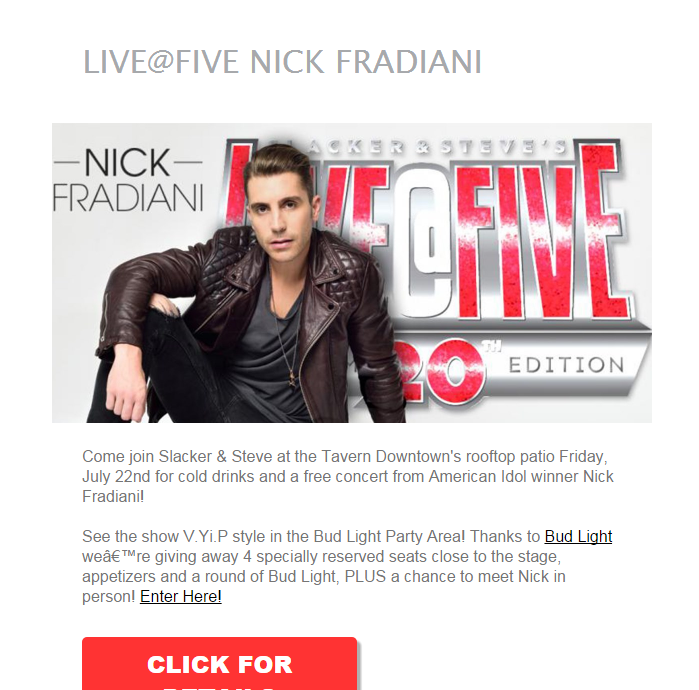 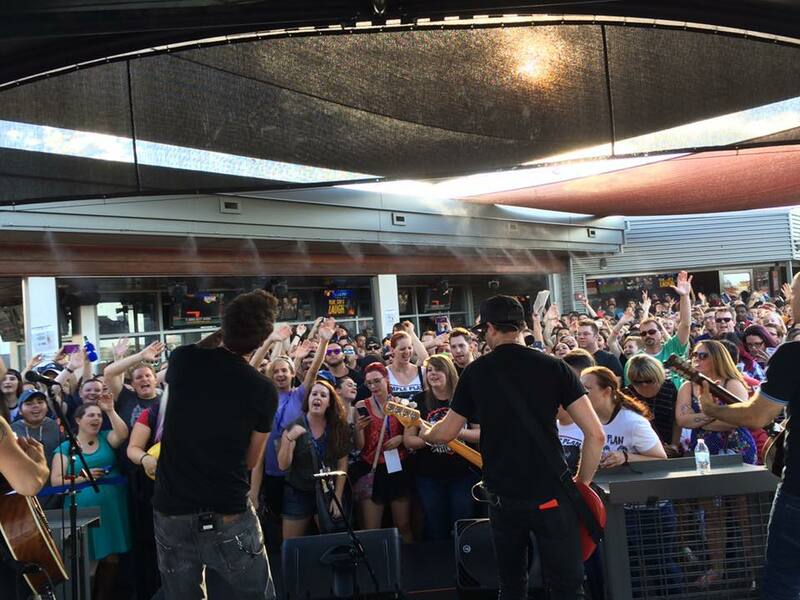 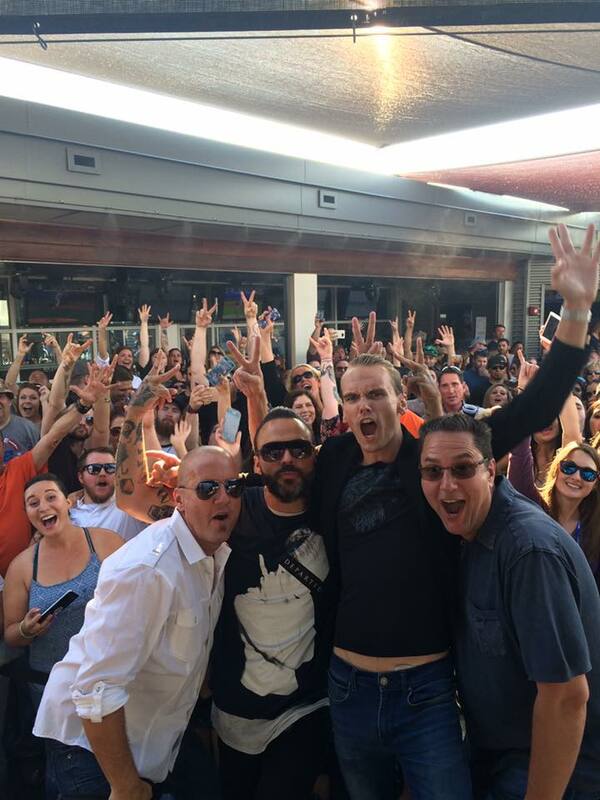 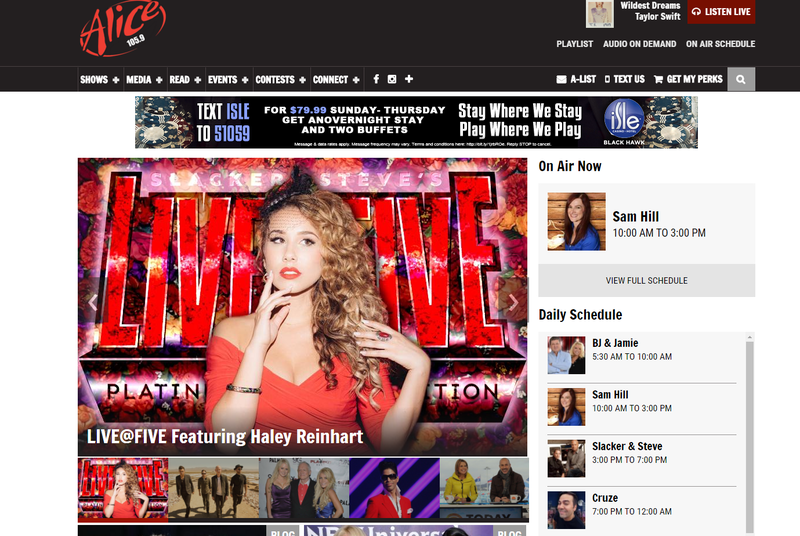 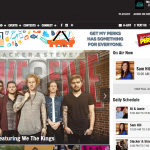 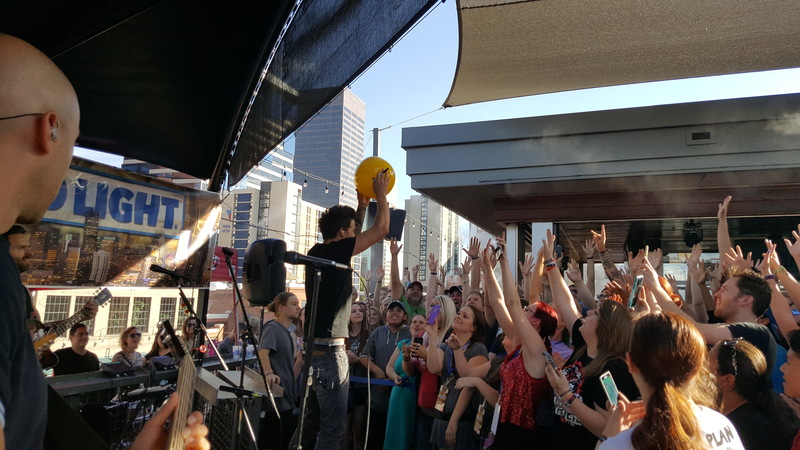 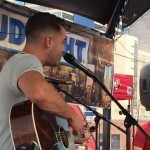 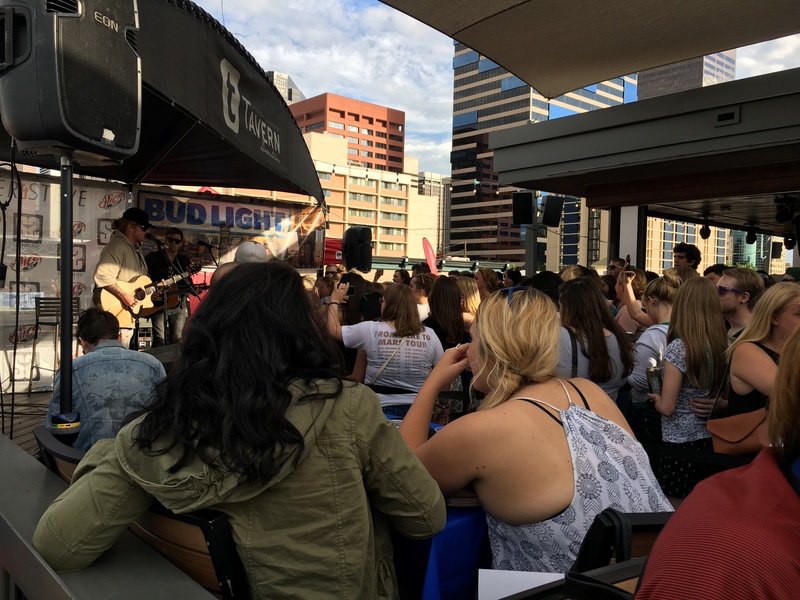 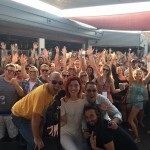 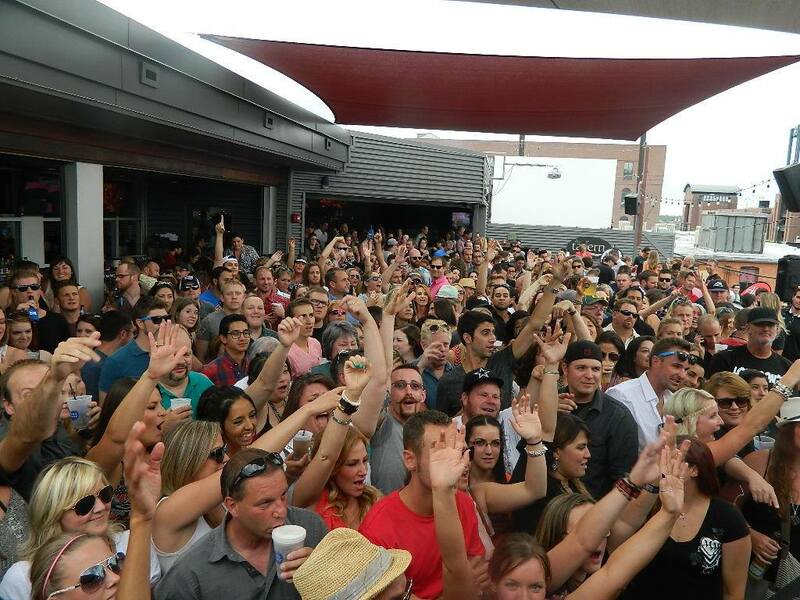 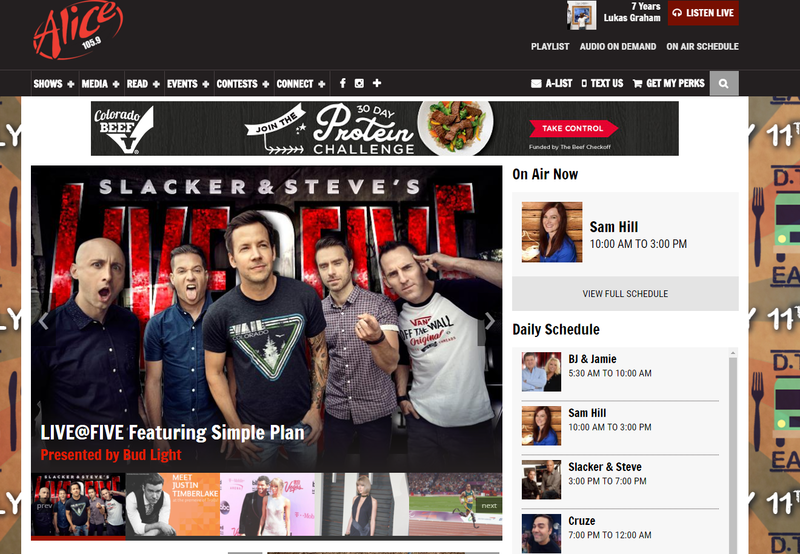 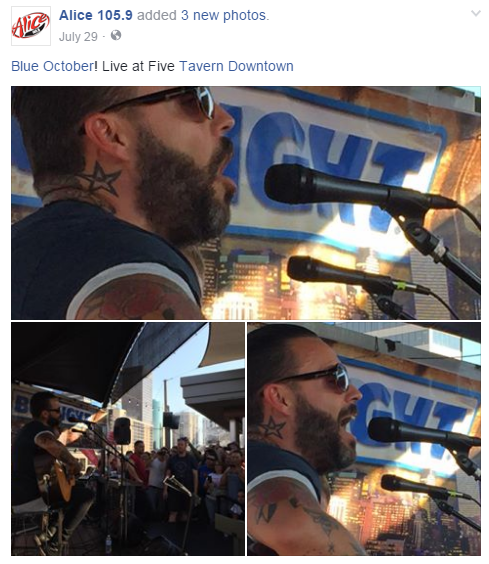 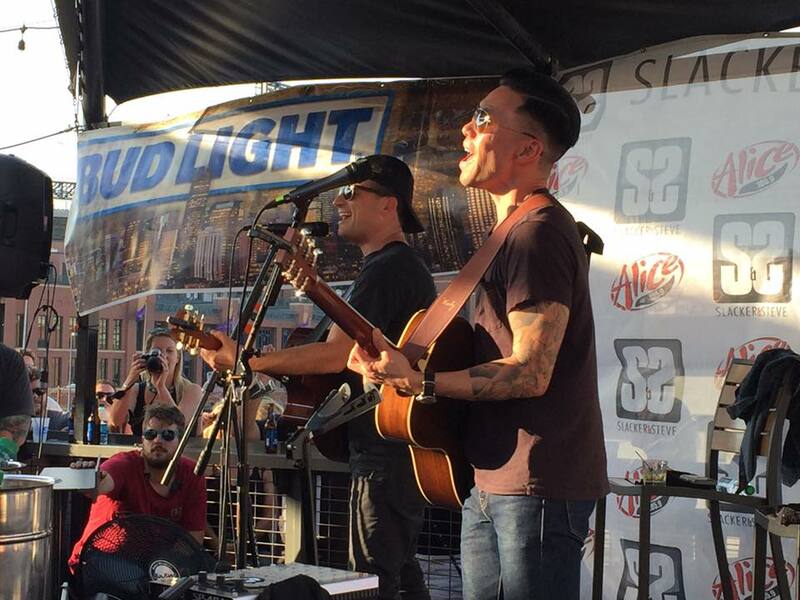 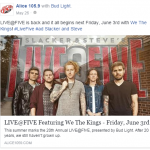 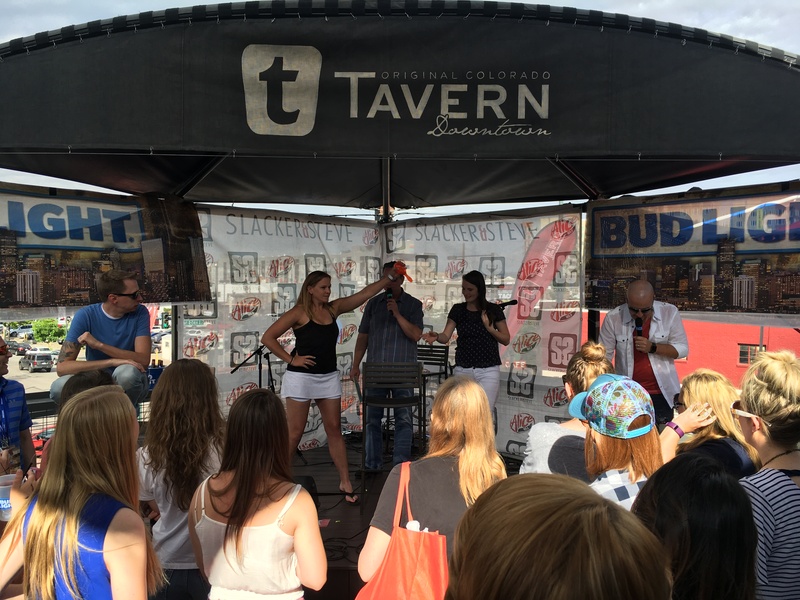 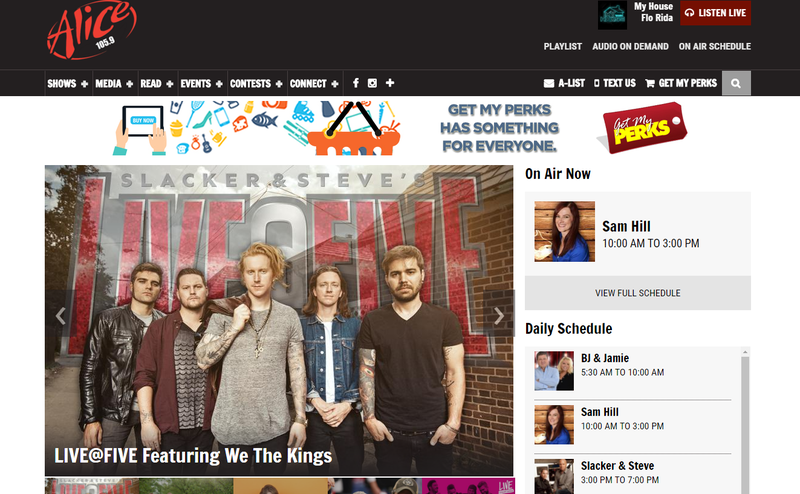 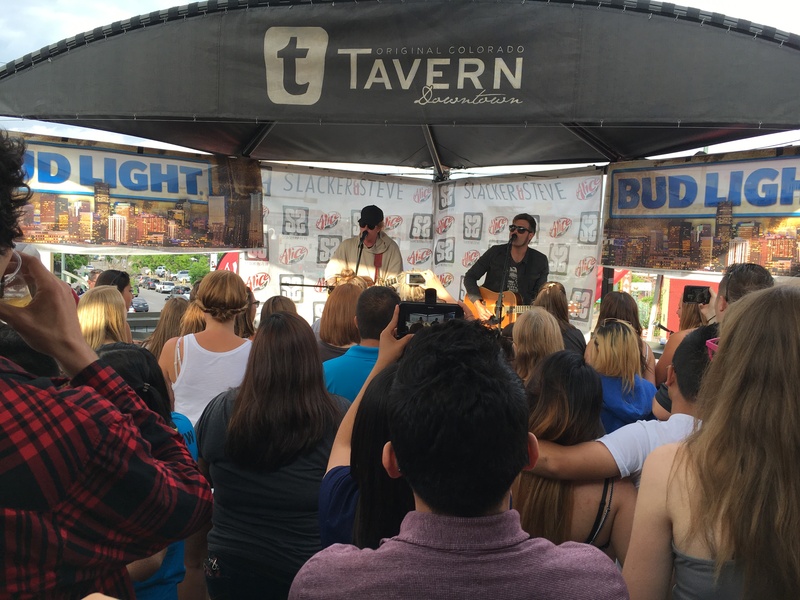 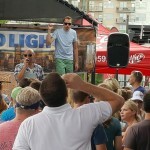 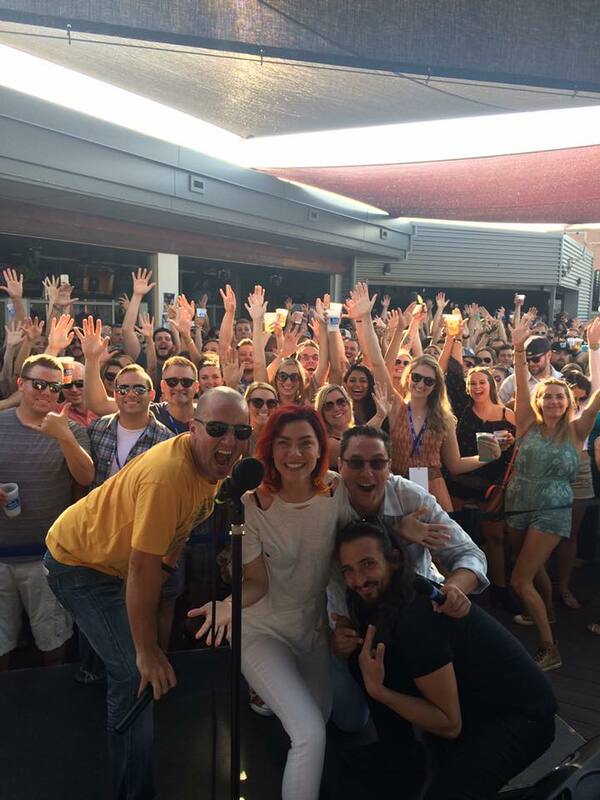 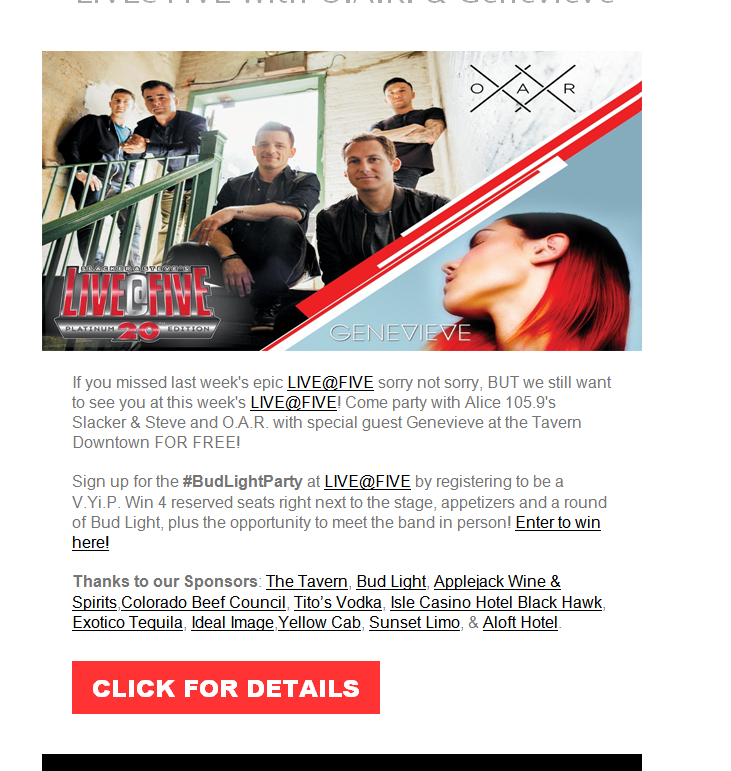 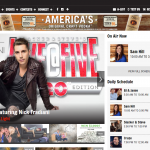 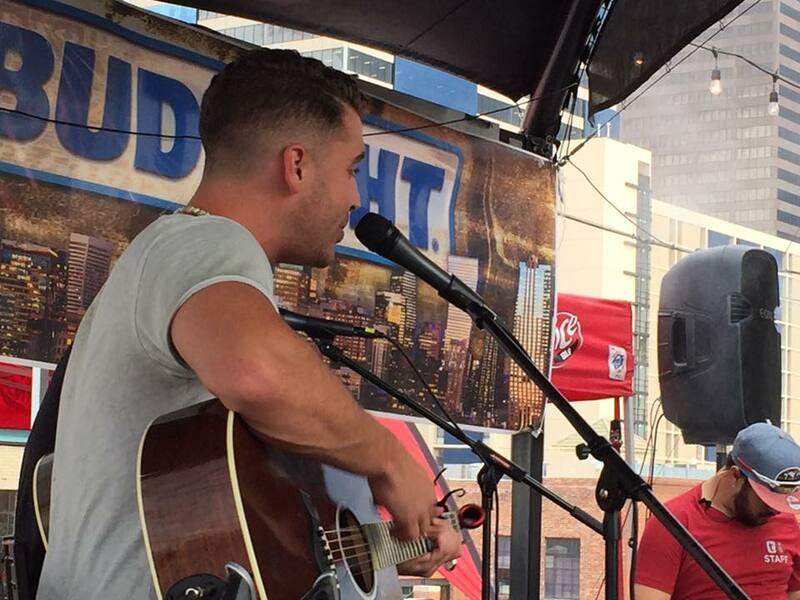 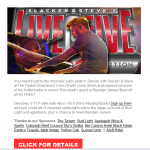 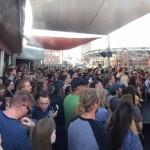 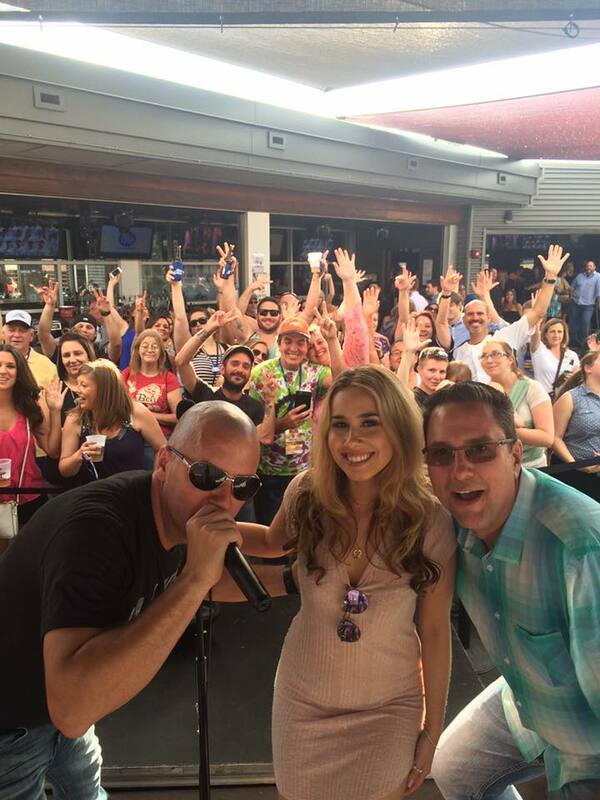 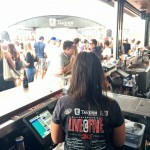 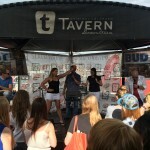 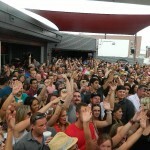 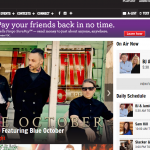 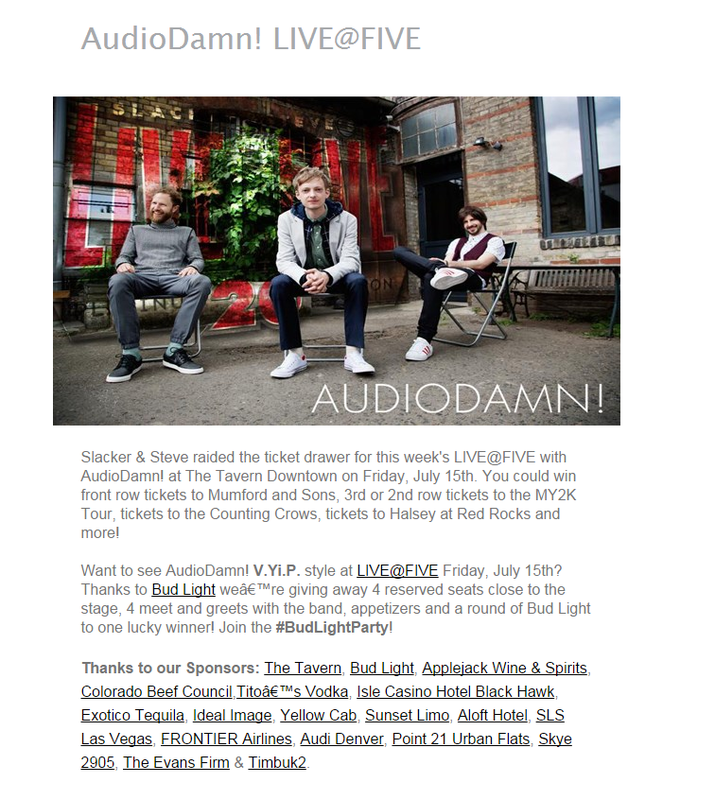 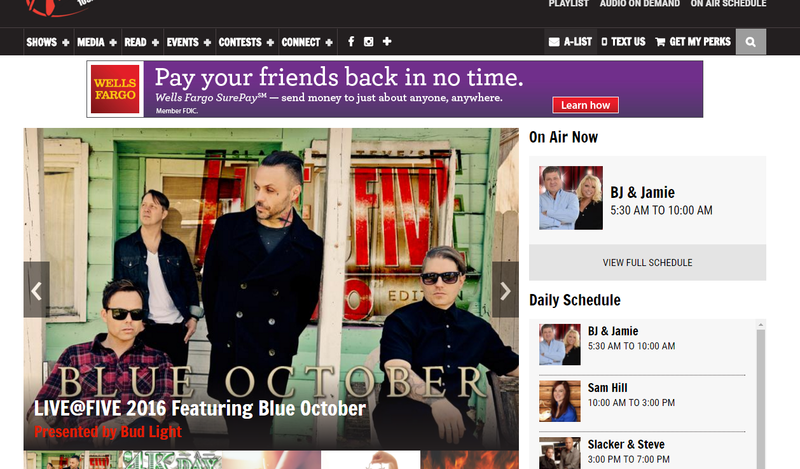 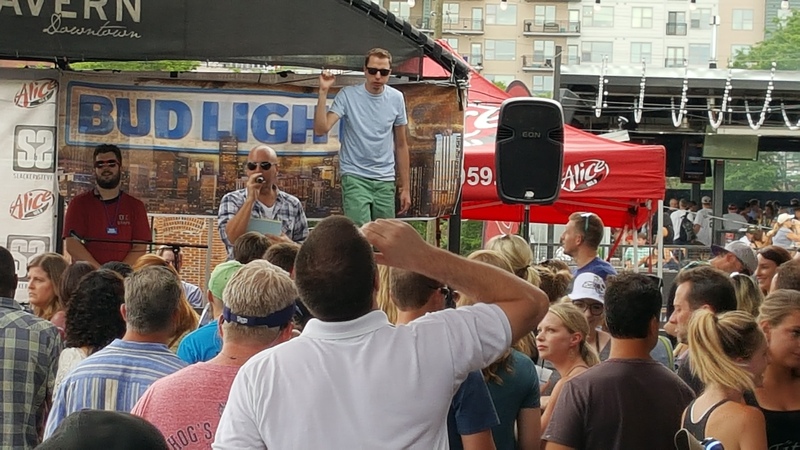 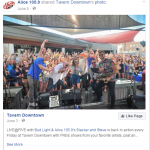 Alice 105.9 ‘s LIVE@FIVE is Denver’s original and Best happy hour event! 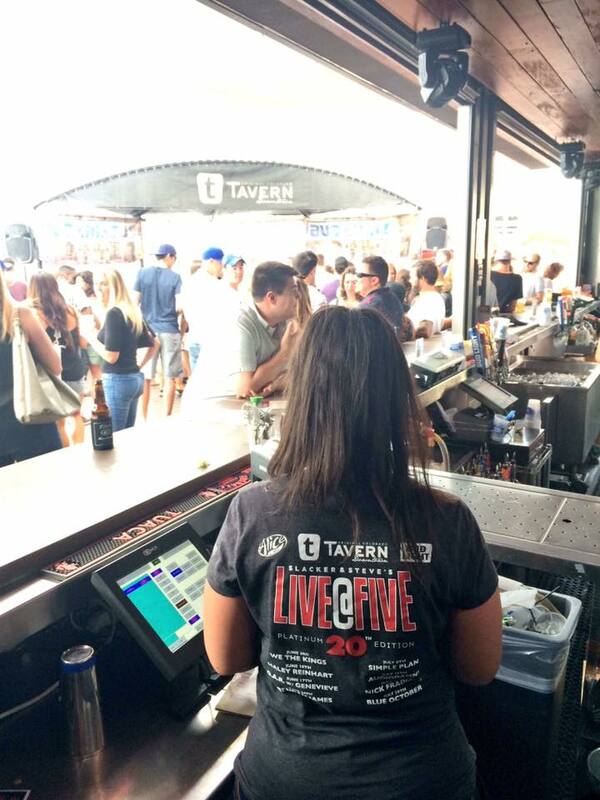 The Dates: Every Friday from June 3rd – July 29th at The Tavern Downtown. 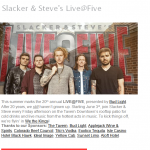 ***note – off the week of July 4th. 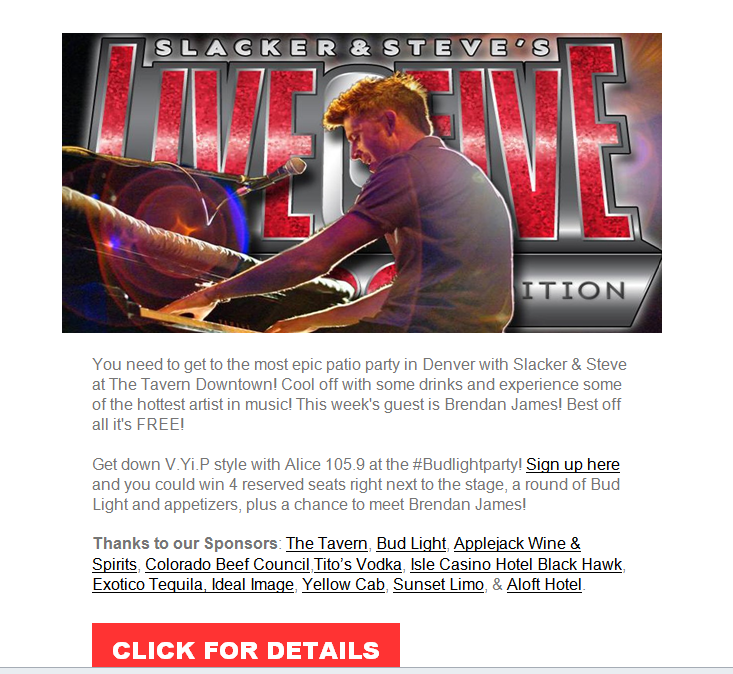 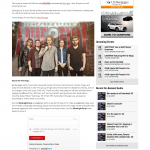 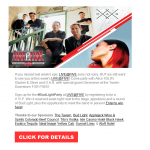 Plus Vegas week promotions. 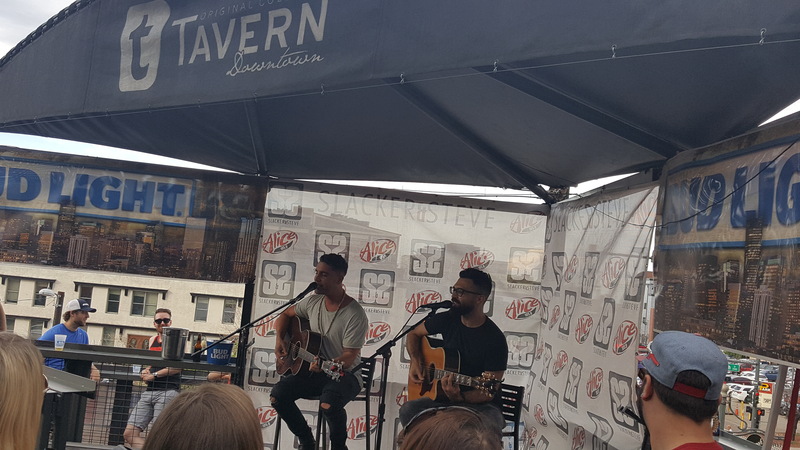 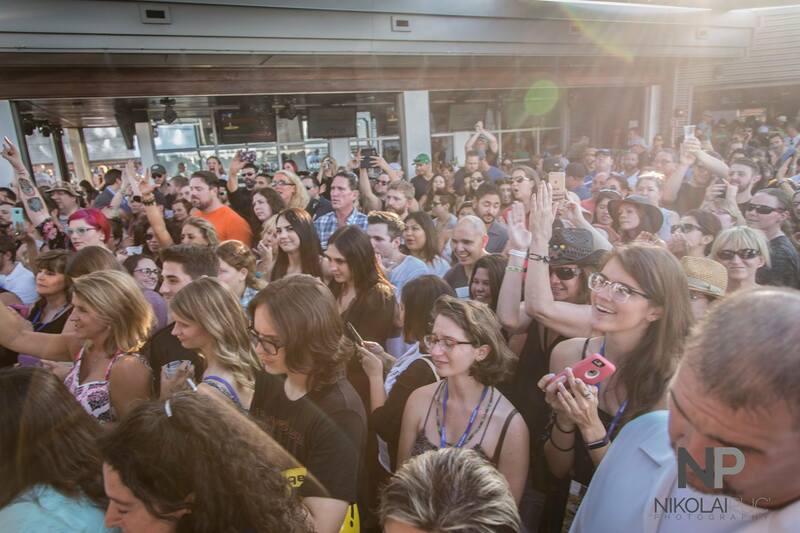 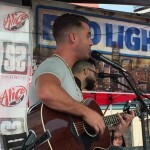 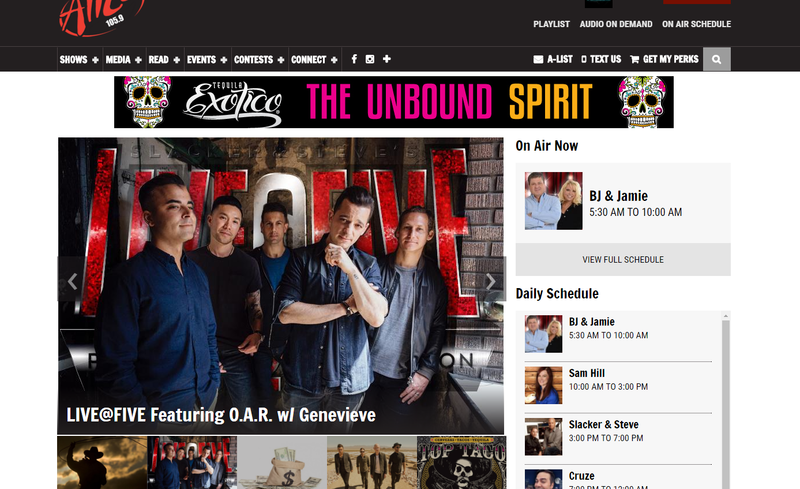 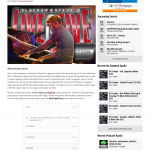 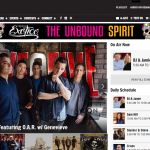 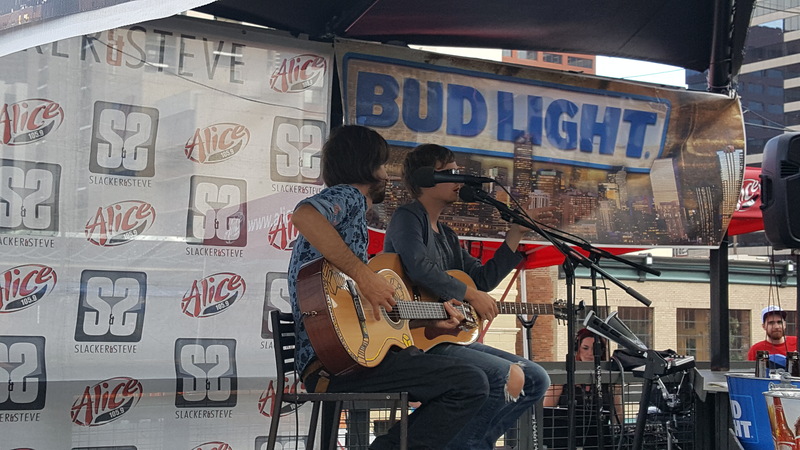 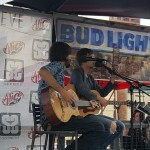 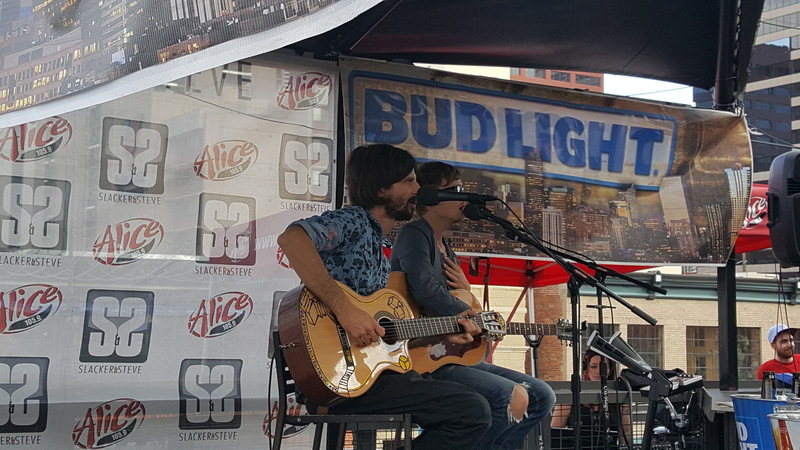 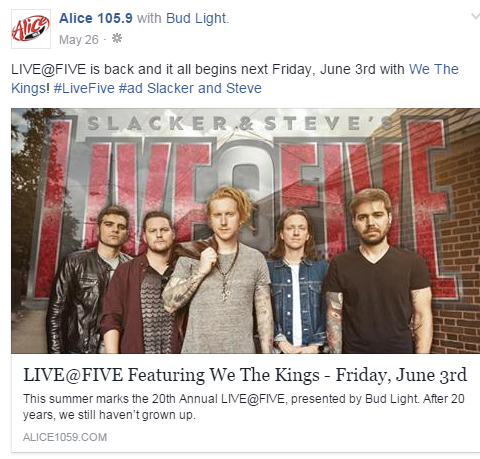 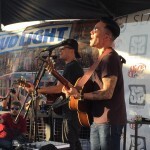 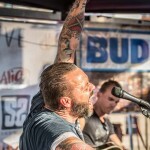 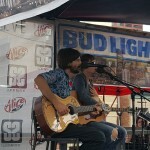 Each year, Alice Artists perform on the LIVE@FIVE stage offering loyal listeners an intimate opportunity to see these high profile acts and talents up close and personal. 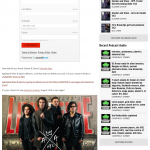 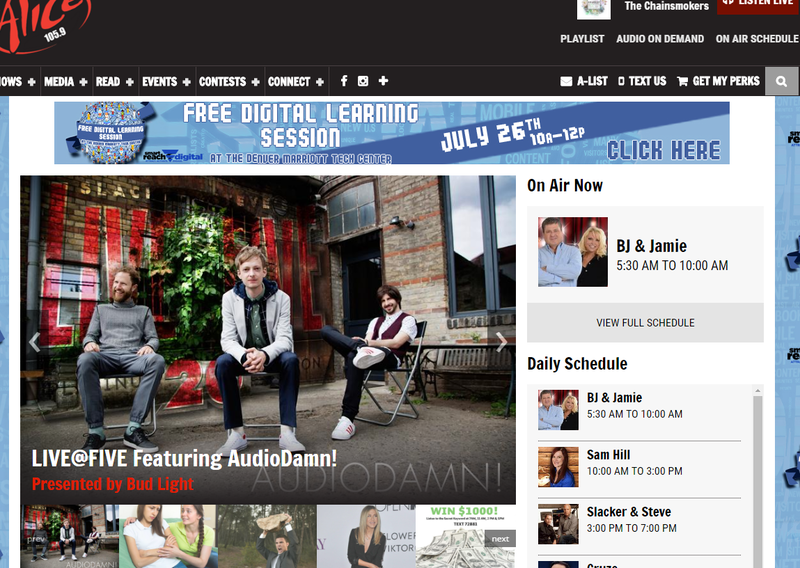 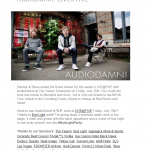 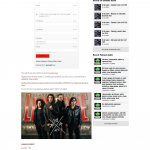 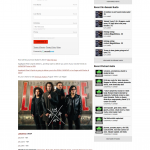 July 15th, 2016 – Audiodamn! 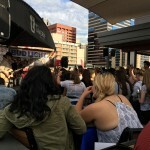 On-site activation at each of the eight (8) LIVE@FIVE events in Denver including passing out information and/or logoed merchandise; registering to win the weekly fly-away; distribution of collateral information, etc.